Migration is a transformational phenomenon both for refugees and migrants and for the communities receiving them. Many Mayors, community leaders, law enforcement officers, teachers, volunteers, faith based and secular organizations, employers and individuals work tirelessly every day to make their increasingly multi-ethnic communities more cohesive. They often work with very little means and in already complicated circumstances. Their success stories and experiences very seldom make the headlines. Together wants to bring these stories and experiences into global discussions on migration. Together wants to leverage on the successful efforts of local authorities and organizations to contribute a new, positive and constructive narrative to the debate on migration. 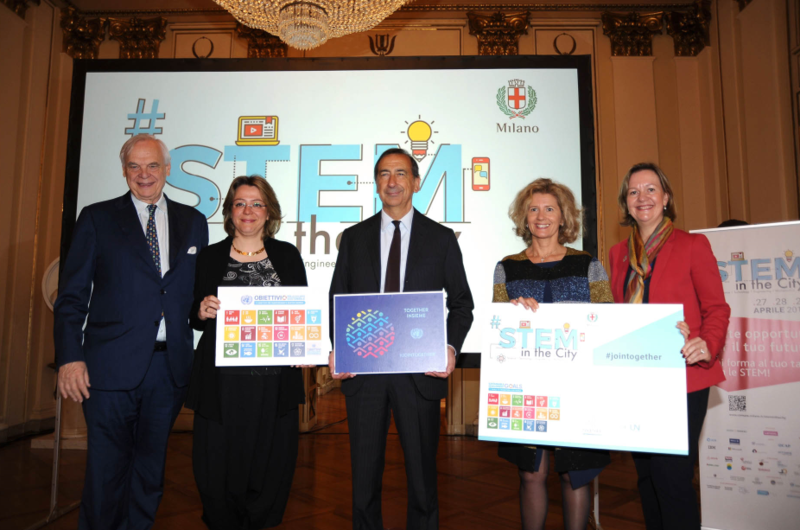 The Mayor of Milan, Mr. Giuseppe Sala, has pledged his support for the TOGETHER campaign and expressed his intention to partner at joint activities that garner the energy and experience of Mayors from around the world with making their cities truly global, both economically and culturally.